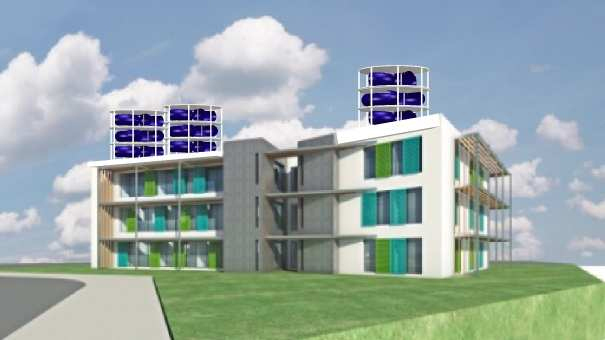 They can be installed on building roofs or stack at variable heights without a mast and without foundation. They are 100% removable, 100% silent, 100% recyclable and maintenance free. The global demand for energy is exponential, generally turns to proximity solutions (independently or self-consumption). Renewable energy rating. 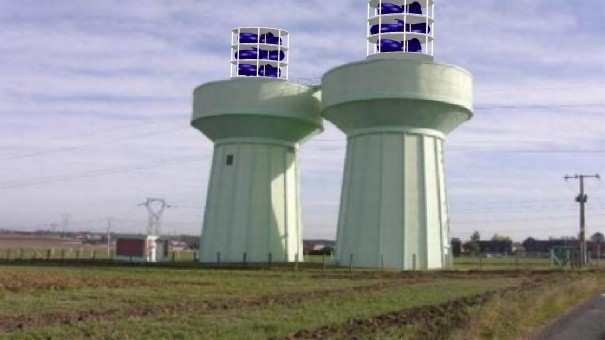 In a few years I have seen the failure of "micro wind turbines" (machine less than 3kW). Whatever the level of quality, the size of these machines entails a short life. The customer is not satisfied in terms of profitability. 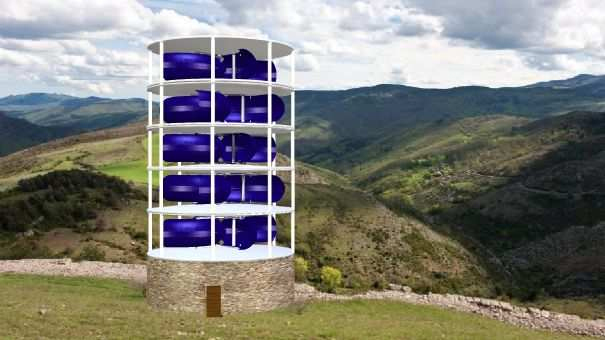 For these two reasons, I decided to design a medium sized wind turbine, durable, cost-effective, modular which can meet global proximity demand, in town or country, connected to the network or not, ALTEREOLIA will be part of tomorrow's solutions. Our project involves the creation of a company "BSB Engineering" which will develop a range of machines constituting mini power plants which can be located close to the user “ALTEREOLIA”. 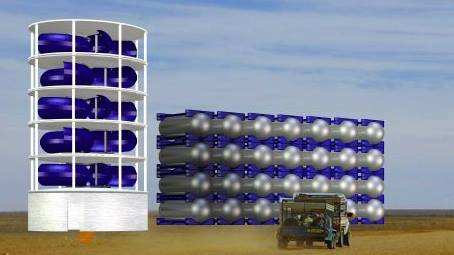 These mini power plants will supply electrical power, compressed air, cold, fresh or drinking water. They are modular and can be installed on the roofs of buildings in town or in the bush. The turbine design has been specially designed to be simple, solid and durable. The lifetime is estimated at 30 years and power generation will be one of the most economical in the world (even without public aid). There will be no cost of energy transmission and very low maintenance. Our customers are businesses, communities, condominiums and isolated villages. Whether or not connected to the public network. The demand is global, enormous and rapidly expanding. We can adapt to any kind of application in terms of power or functionality as our stacked turbines are independent from each other. For remote and off-grid users, we have provided an innovative and original storage solution. 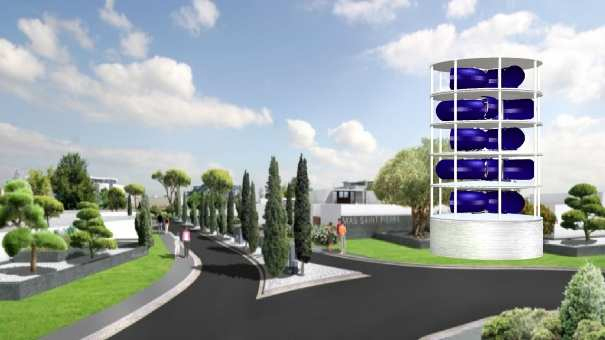 Instead of storing the energy (battery) we store the energy source (wind) through a compressor that will produce compressed air and can be returned to power. 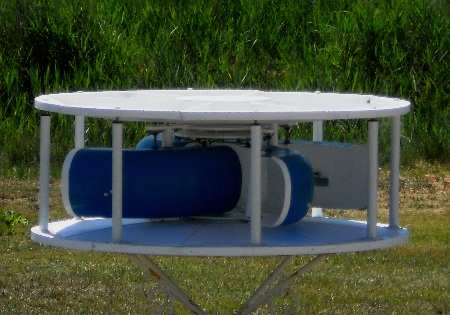 A small turbine model was created. It showed us a total silence of operation, no vibration and startup speed by low wind. Today we need financial partners to develop a prototype (scale 1) that we will use to demonstrate the power. This research phase is expected to last 18 months and cost approximately $ 1million. Subsequently, the development of the network of production and distribution cost about $ 3 million. The numerous requests of potential customers that we have had suggests to us that we can fund the following easily with first sales. Hugues Boyenval: French, 55, holds an executive MBA is the project leader and inventor of the concept. It will be the future president of the companies "BSB Engineering" and “BSB Industry”. Jean Christophe de Lustrac: French Engineer "Arts et métiers", runs a consultancy business creation “CEPAGES”. He has a long history as an industrial manager. He is currently in charge of the search for financial partners. He will be the future leader of "BSB Prod Europe". Jean Marie Lambert: Belgian living in Brazil for over 30 years, holds a PhD in international law and current leader of "BRASEOLICA LTDA." This business will be our future "BSB Prod South America"
We plan to create an engineering company "BSB Engineering" which will manage the project development and intellectual property rights, an Industrial Society "BSB Industry" which will be in charge of industrial development and several local production companies "BSB Prod" whose " BrasEolica "part, closer to local markets and dealers. The holder and inventor of ALTEREOLIA project, “Hugues Boyenval”, is now fully prepared to cede the rights of license globally. Do not hesitate to contact us for conditions. 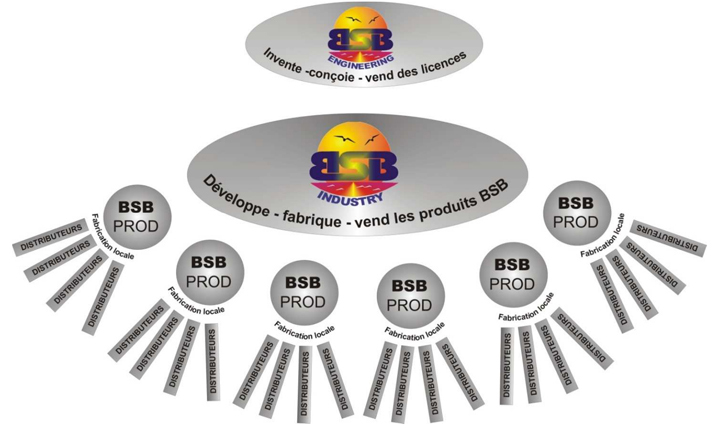 The sale of the license to " BSB INDUSTRY "
Royalties from " BSB INDUSTRY "